M hesh Foundation is been working for different social causes, and the one of the important part of our society is child education which s not up to the mark where we accept people sending their kids to school but when it comes to the people from slums n poor families they cannot afford to send their kids to educate , and we have witnessed those kids been sent to work, and another virtual thinking of our society is that the school won’t allow the kids effected by HIV as where they are suppose to give moral support to these kind of kinds and give them a normal life. As we are in to HIV/AIDS prevention and support to affected people we have seen the kids who are only affected by HIV but not orphans are not allowed to go to school. The little kids are the future of the nation; even the people in to noble professions like teaching have abandoned these kids and threw them out of school. 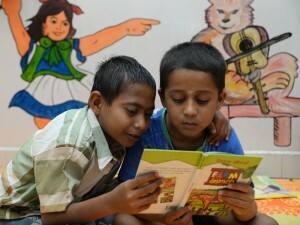 We Mahesh foundation stood with these kinds of kids and gave them a hope of leading their life. We Mahesh foundation took a step forward and supported the orphan HIV/AIDS Affected kids and the orphan kids and the kids in poor conditions, gave them a hope of leading their life. We supported them by providing School kits and Educating their parents to work and not to force their kids for work and educate their kids until they are ready to lead their life independently. We started this Education Support Project by huge campaigns in 2011 in which we supported 375 children and this continued in next year where the count is added a little more and we supported 963 children in the year of 2012 and in this year (2013) this support has reached more than 1600 children and we have an intention of reaching 3000 children with education support in upcoming year.